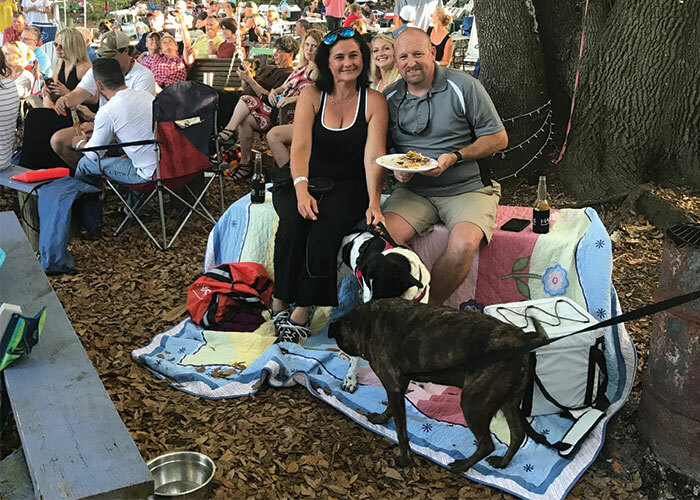 Every Wednesday evening, Charlestonians gather beneath grand oaks, seated around fire pits in mismatched chairs and at wooden picnic tables, to hear musicians perform during Awendaw Green’s weekly Barn Jam series. A rustic old barn acts as the stage, where local and national artists play to a crowd that ranges from families with toddlers to punk rockers and grandparents. White, a full-time dentist, first dreamed up the idea of an outdoor music space in 2008 when a friend of his, Dan Henderson, got involved in hosting house shows. At the time, his son, Clay, was playing in the band at Cario Middle School, and, though White has never been a musician himself, he enjoyed bonding with his son through these shows. Soon after, White and two friends decided to purchase a piece of land in Awendaw with the intention of hosting small shows outside rather than in someone’s home. As more people began to attend, the event outgrew its space. Spur-of-the-moment gatherings turned into an organized Wednesday night series until it was brought to their attention that they couldn’t host public events if they weren’t a commercial property. 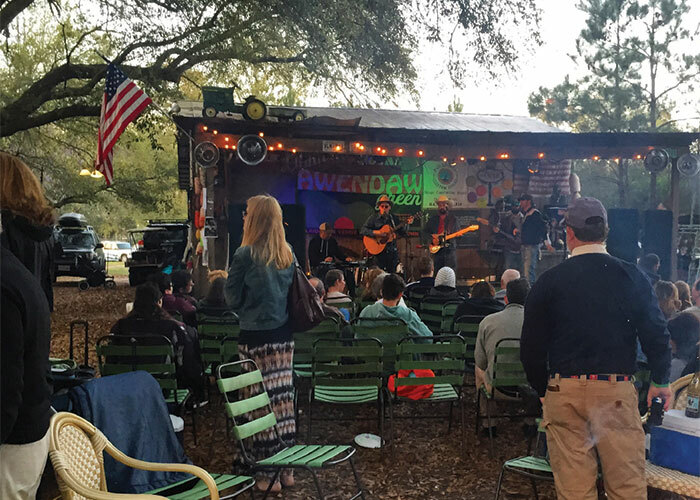 After three or four years of these unofficial concerts in this makeshift space, White and his team forged an agreement with the Geer family, the owners of the Sewee Outpost, who allow them to use the land as a music venue. 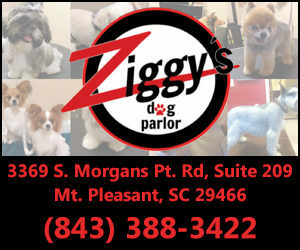 Now the venue has become something of a mecca for the Charleston music scene. 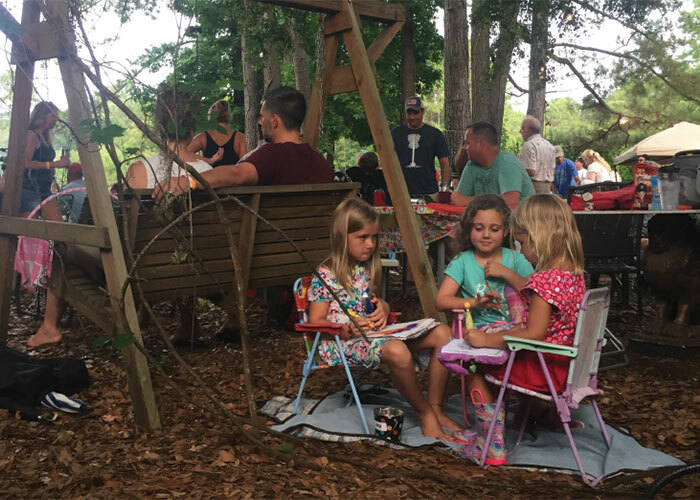 Though the Barn Jams attract many musicians and creatives, Awendaw Green’s biggest focus is on providing a gathering place for the entire Charleston area. To help ensure that the public’s needs are represented at Awendaw Green, White recruited artist-in-residence Danielle Howle. A singer-songwriter, Howle sometimes performs at the jams but mostly works on outreach with local musicians to learn about the creative landscape of the county and discover what people want. It takes more than Howle and White to run an outdoor venue with a scope this wide. A number of people, which White refers to as a “volunteer army,” dedicate their free time to shepherding Awendaw Green in whatever capacity they can. 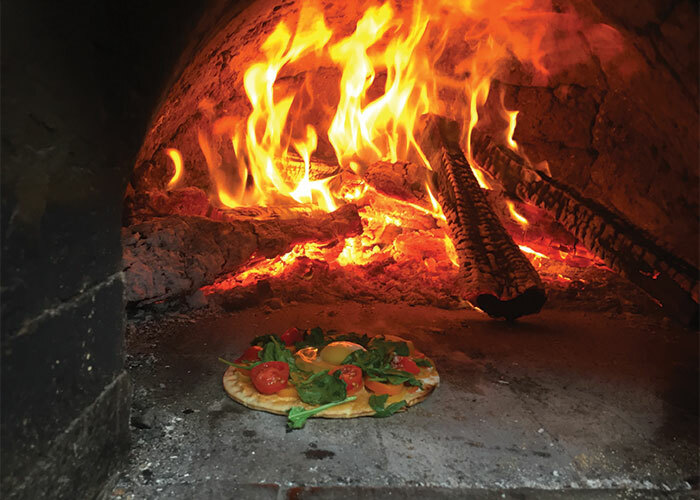 One volunteer is a pizza maker and for years has been bringing her brick oven to the Barn Jams to provide food for artists and their audience. Vendors from across the area set up tents to sell goods and offer services. Volunteers help by taking the $5 donation, setting up the stage and taking out and putting back chairs – it’s very much a cooperative effort. 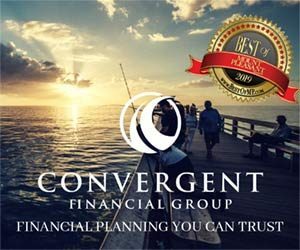 While it’s clear that the community loves the unique venue that allows people to BYOB or pack a picnic, the artists gravitate to the venue as well. Everyone from high school bands to Grammy award winners have performed at Awendaw Green. Many Charleston bands that have made it big, including wellknown rock band Stop Light Observations, performed some of their first shows on the Barn Jam stage. Hey Mike, thanks for your inquiry, You can use the Awendaw Green home page http://www.awendawgreen.com/which has their events at the bottom and a link to more info about Barn Jams. They also have a Facebook Events page here https://www.facebook.com/pg/awendawgreen/events/ … enjoy!